Suleikha Snyder : Lit From Within: Where Do South Asian Romance Writers Make a Name? Lit From Within: Where Do South Asian Romance Writers Make a Name? 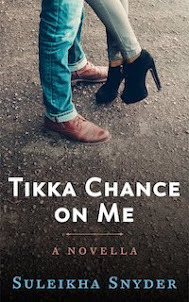 With a novella set to release in two months — my fourth India-set story, and the do-or-die of the Bollywood Confidential series before I move on to another subgenre — my mind is turned to marketing and promotion. I keep coming back to one question: Where does the South Asian romance writer go to find an audience, a support system, a foundation? (And, more importantly, a springboard to get our works Out There.) Do we look to our community, or to the romance community at large? Both are hard to break into, much less navigate. The South Asian writing community is one of literary fiction, poetry and personal essays. Genre fiction meant for mass-market consumers might be a tiny drop of oil in the ocean that is diasporic writing. And romance/erotica...? May as well not exist. I still remember the sort of "Litficcers lowering themselves to write erotica, hur hur!" reaction to the Alchemy anthology that came out earlier this year. And I occasionally have visions of being laughed out of the Jaipur Lit Festival. Not that the likes of me, Alisha Rai or my fellow brown romance novelists would be invited there. Or to any South Asian literary festival, really. Because that's a club we don't quite belong in. Still, should we try to join? Should I look to India Abroad for an article about my endeavors? Should I seek out desi panels and events and say, "Hey, put me on your slate!"? I mean, I'm a vocal feminist and LGBT supporter, and I'm pretty frickin' smart; who says my perspective is invalid just because I write happy endings? As to the romance community, I've already spoken at length about the struggles writers of color face in finding a foothold outside of small pockets of fellow writers and friend circles. And while discussing it to death on the Internet is all well and good, how do we escape the ouroboros and reach the reader who isn't on Twitter? Romance readers in the West don't seem all that keen to pick up Indian-themed love stories written by writers of color and neither do romance readers in India. Therein lies the rub: It seems they, too, would rather read about white heiresses and white alphahole billionaires. And Bollywood films fulfill the desire for passionate brown people romance. And thus I circle back to the question: Do we South Asian romance writers focus on making the NPRs, the NYTs recognize that romance has a diverse face, or do we ask South Asians to embrace our diverse fiction? I don't have an answer. Is there an answer? I think you have a valid question. Fellow romance writers and I were discussing this-again after Jeannie Lin's blog post came out. I honestly believe the readers are out there. Discoverability is the problem. The methods traditional romance writers use to reach readers are too broad for the audience who may be willing to pick up these books. I think the marketing needs a laser focus. Now if I knew where to point that laser . . . .